Tablets are not clearly defined by their performance and standards like laptops and PC’s are. There has been an increasing numbers of Android tablets into the market this year. It is true that not all of the released tablets are great and also not all of them are affordable. It is a really tough task to decide which tablet is best for your budget. The tablet market is dominated by the Apple and its iOS operating system, but users can get numerous affordable tablets from different manufacturers. Some of the best Android tablets are highlighted below based on their display size, and technical specifications. Google Nexus is the world’s first android 4.1 version. It is the slimmest, portable tablet in the current market. The screen is 7 inches with 1280*800 HD, black lit IPS display and scratch resistant glass. The battery life is 9 hours of HD video, 10 hours of web browsing or 300 hours of standby. Its CPU is a quad pro Tegra 3 Processor. Its OS is the Android version 4.1 jelly bean. It is available with internal storage of 8 or 16 GB. This tablet is a mix of Amazons Kindle Fire and ASUS. It is one of the most expensive and impressive tablets with unique features. Its Android OS is 4.0 ice cream sandwich which can be upgraded to 4.1 jelly bean. Some of the features are quad-core 1.4 GHz, 16/32/64 GB of storage capacity, 5 mega pixel camera with LED flash. Its front camera is 1.9 mega pixels. It has a 10 inch display and its resolution is 800*1280 pixels. 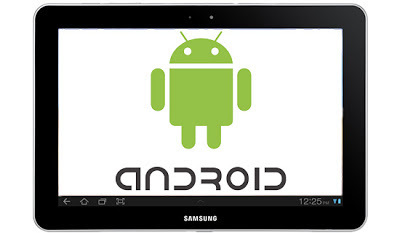 It is one of the best Android tablets for the year of 2012. After the success of the first series of tablets from Amazon, it launched the 8.9 inch kindle fire. It has the amazing IPS TFT display with 1920*1200 resolution. It comes with dual core processor of 1.5 GHz. 1 GB RAM and 16 GB internal storage capacity. Its camera is 1.3 mega pixels and is available on Android version 4.0. It is the successor of all the Android tablets. The OS is Android version 4.0 ice cream sandwich. It has a dual core processor of 1.2 GHz. Its internal storage is 16 or 32 GB and 1 GB of RAM. Its display is the IPS TFT with 800*1280 pixels resolution with a 1.3 mega pixel camera. This tablet is a highly personal device; features include many multimedia, apps, voice call, and group chat. This tablet comes with the Android 4.0 ice cream sandwich OS and it can also be upgraded to the 4.1 Jelly Bean. You can instantly check the best e- books, latest hit songs, superior quality games and many recently released videos. It has a 7 inch LCD screen with resolution of 600*1024 pixels. Dual core processors and 1 GB Ram. It has the S Suggest widget which provides you with the best recommended apps for your device. These are the top android tablets based on the technical specification and price. In this period of economic slowdown, if financial hurdles are obstructing you from experiencing the best Android tablets then you can take the various short term loans like same day cash loans from finance providers to meet your needs.